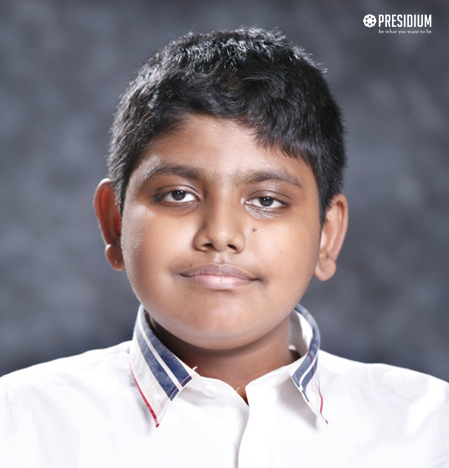 Ekagra Chaki All India Anveshan Competition VII 1st Ekagra Chaki ofGrade VII, from Presidium, Ashok Vihar won the Song of the Year 2016 Award and the 1st runners up trophy by the Itihaas Group in a National level singing competition named 'Anveshan' for song on the Munda Revolt of Jharkhand. 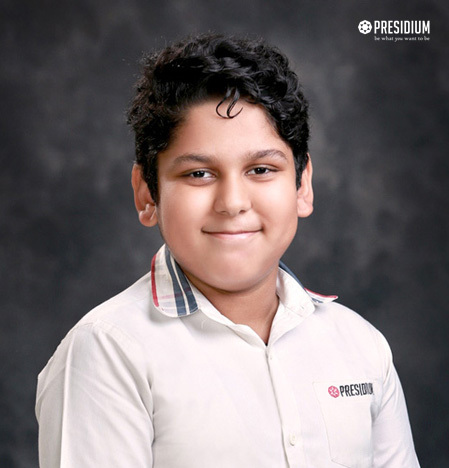 Aryan Goel All India Anveshan Competition IX 1st Aryan Goel of class IX C, Presidium Ashok Vihar was a part of the school choir that bagged the Song of the Year Award in All India Anveshan Competition organized by Itihaas Group. 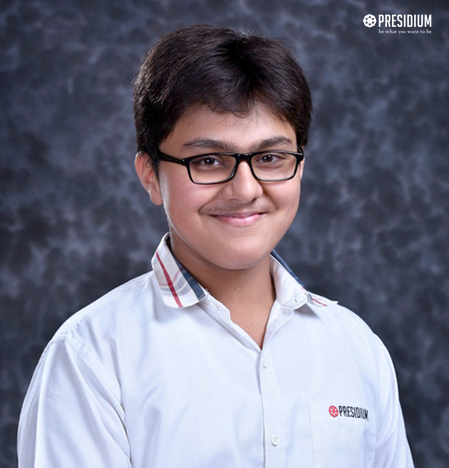 Arjun Singh All India Anveshan Competition X 1st Arjun Singh of class X B, Presidium Ashok Vihar was a part of the school choir that bagged the Song of the Year Award in All India Anveshan Competition organized by Itihaas Group. 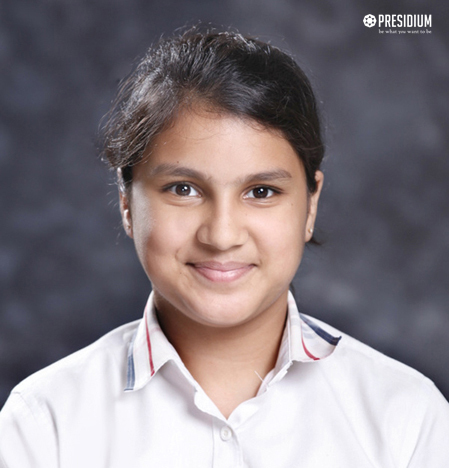 Aashrita Gupta All India Anveshan Competition VII 1st Aashrita Gupta of Grade VII, from Presidium, Ashok Vihar won the Song of the Year 2016 Award and the 1st runners up trophy by the Itihaas Group in a National level singing competition named 'Anveshan' for song on the Munda Revolt of Jharkhand. 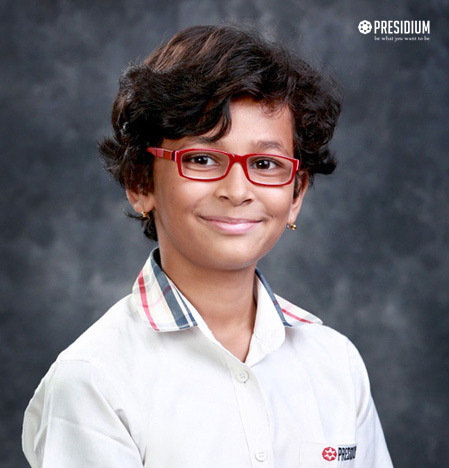 Saanann Roy Itihaas Cheshta V 1st Runners up position in Best lyrics Category Saanan Roy of Grade V E, from Presidium Dwarka 16B, won the 1st Runners Up position in the Best Lyrics category at the National Level Group Singing Competition at the Itihaas Cheshta, conducted by Itihaas Anveshan. 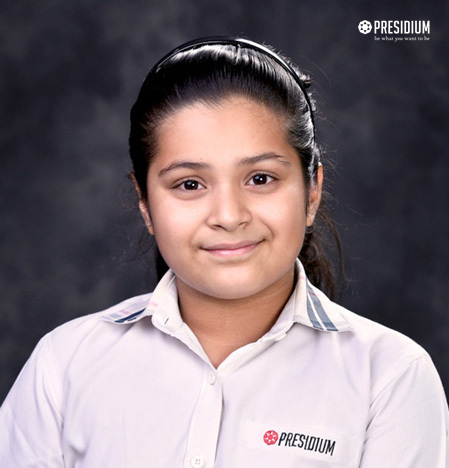 Hitanshi Dhingra Itihaas Cheshta V 1st Runners up position in Best lyrics Category Hitanshi Dhingra of Grade V E, from Presidium Dwarka 16B, won the 1st Runners Up position in the Best Lyrics category at the National Level Group Singing Competition at the Itihaas Cheshta, conducted by Itihaas Anveshan. 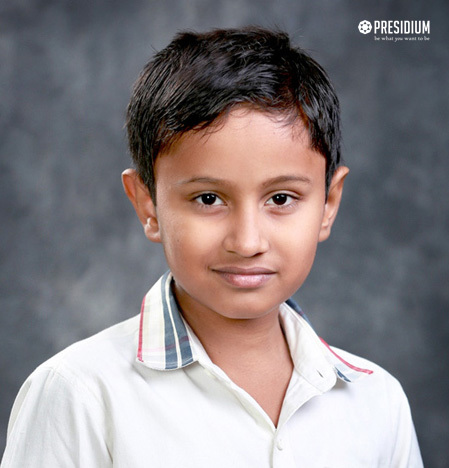 Yash Nahare Itihaas Cheshta V 1st Runners up position in Best lyrics Category Yash Nahare of GradeV A, from Presidium Dwarka 16B, won the 1st Runners Up position in the Best Lyrics category at the National Level Group Singing Competition at the Itihaas Cheshta, conducted by Itihaas Anveshan. 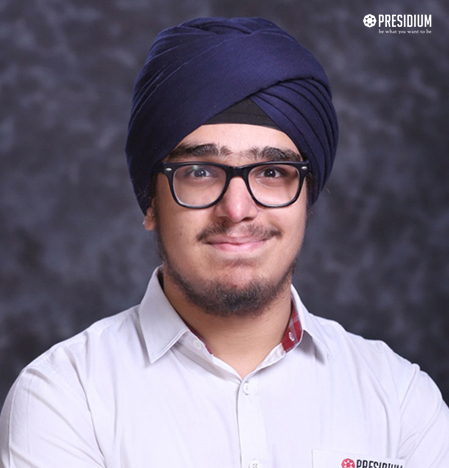 Kartik Bhatia Itihaas Cheshta V 1st Runners up position in Best lyrics Category Kartik Bhatia of Grade V F, from Presidium Dwarka 16B, won the 1st Runners Up position in Best Lyrics category at the National Level Group Singing Competition at the Itihaas Cheshta, conducted by Itihaas Anveshan. 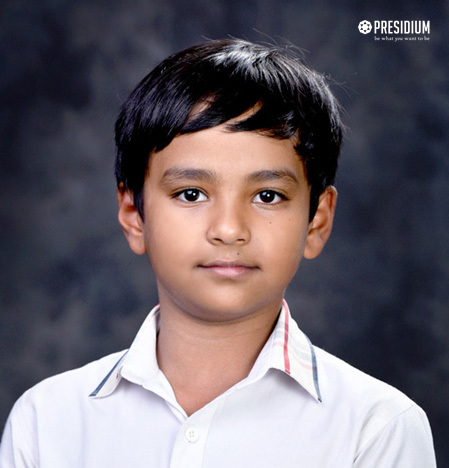 Gargi Neogi Itihaas Cheshta V 1st Runners up position in Best lyrics Category Gargi Neogi of Grade V A, from Presidium Dwarka 16B, won the 1st Runners Up position in the Best Lyrics category at the National Level Group Singing Competition at the Itihaas Cheshta; conducted by Itihaas Anveshan. 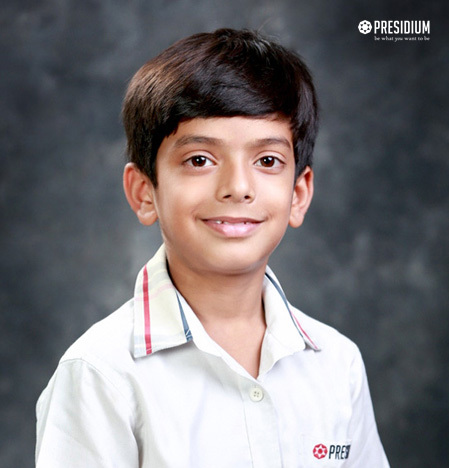 Jatin Mourya Itihaas Cheshta IV 1st Runners up position in Best lyrics Category Jatin Maourya, of Grade V A, from Presidium Dwarka 16B, won the 1st Runners Up position in the Best Lyrics category at the National Level Group Singing Competition at the Itihaas Cheshta; conducted by Itihaas Anveshan.